Aalayam - Colors, Cuisines and Cultures Inspired! : Spring Picnic - Inspirations for an alfresco fete! 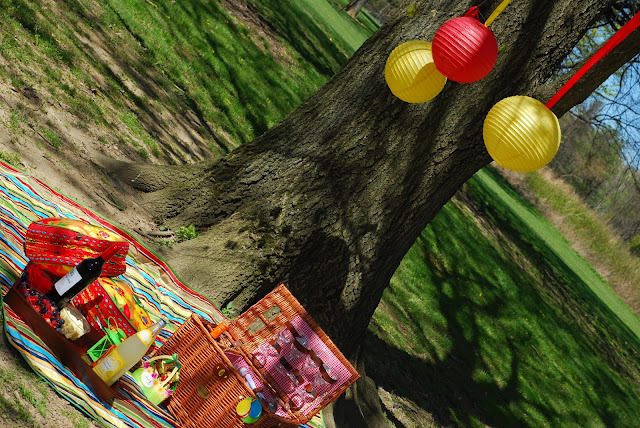 Spring Picnic - Inspirations for an alfresco fete! Bonjour dear readers! Aalayam is heading outdoors today. Spring is officially here. Bye-bye gloomy grey days and hello sunshine! It's time to re-invigorate our senses and it does not take an expensive vacation to an exotic location to do so! Has it warmed up in your neck of the woods yet? How about a picnic then? A carefree celebration of spring! There is no better way than an old-fashioned picnic to enjoy the great outdoors ! 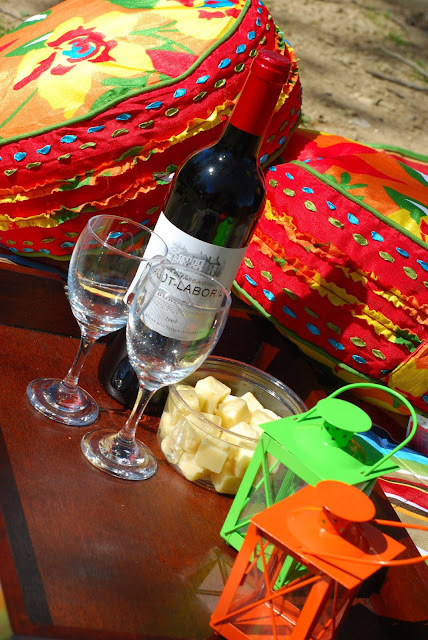 Between taking pleasure in a simple outdoor meal to planning an elegant extravaganza - there is a host of picnic options. So, what are you waiting for - pack your basket and your blanket and enjoy a sunny afternoon with your friends and family. Picnicking is a great way to encourage your kids to explore the outdoors especially after being holed indoors for the entire winter. 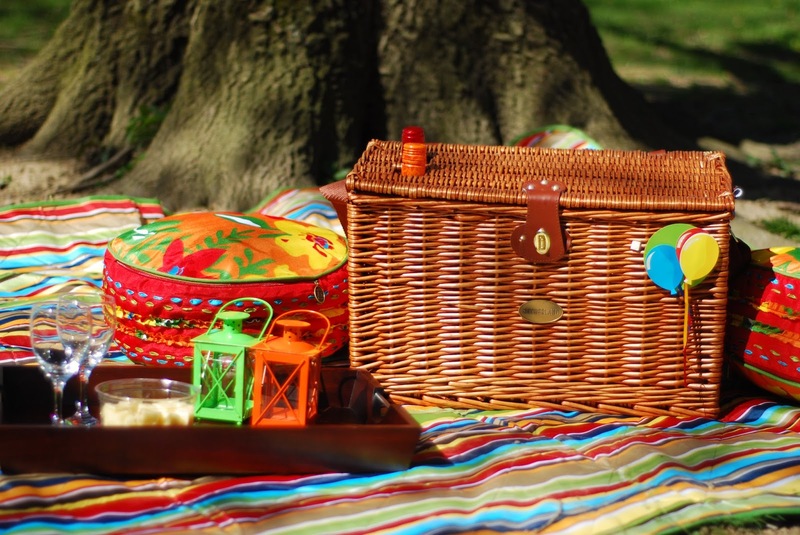 A picnic allows you to build their curiosity about nature's bountiful surprises. 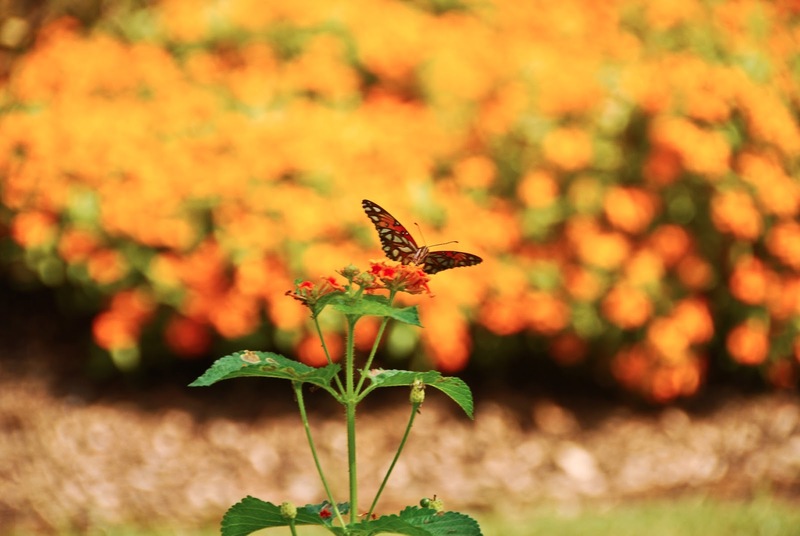 Let the kids spot a butterfly perched on a flowering bush or explore the surface of a tree trunk or gather fallen pinecones while you enjoy a relaxed conversation, a cold beverage and a ciabatta sandwich with the adults! I feel blessed to be able to enjoy four distinct seasons here in the Midwest and as the snow melts and new life begins to sprout, Spring marks it grand entry and with it, brings a renewed motivation to enjoy life to the fullest. Toss a frisbee, blow some bubbles, lounge on a colorful blanket, play a card game and take some pictures ! Childhood is fleeting, pause and enjoy your children and make some lasting memories. 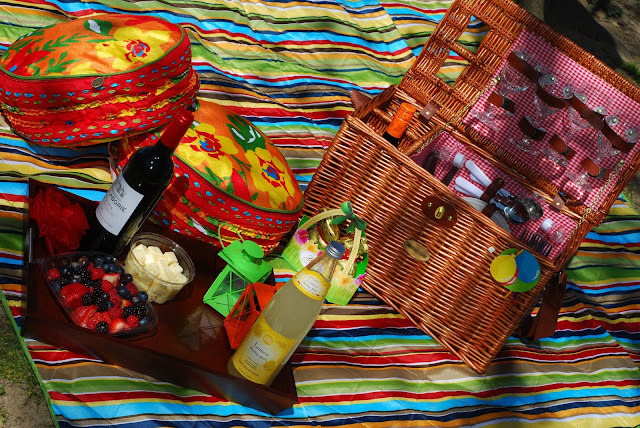 How about a packed picnic basket as a b'day gift? At Aalayam, we get really excited when it comes to food and decor. And a picnic is the perfect opportunity to combine the two together. I am sharing these pictures from my own spring picnic last year. It was also my husband's birthday and I choose sprightly hues to set the stage for our open air celebration. The paper lanterns were an easy addition and instantly changed the mood from picnic to party. I found the perfect picnic basket from Sutherland (the red gingham fabric lining was too cute to ignore!). The slots for two bottles was practical and convenient. The basket allowed me to pack re-usable cutlery and plates thus making it an environmentally friendly alternative. Red gingham and compartments for everything - makes a perfect basket! With a few more picnic essentials- wine, cheese, freshly picked berries and a choice of easy picnic foods, I was all set to have some fun! A little preparation goes a long way and remember to have everybody pitch in - after all, it's a family event! And because every celebration needs a yummy dessert and some sugar rush, we packed a cake. 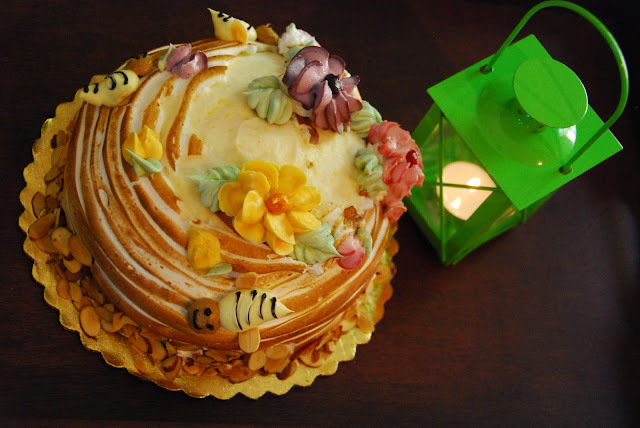 The garden flowers and buzzing bees on the cake were perfect for our alfresco celebration! 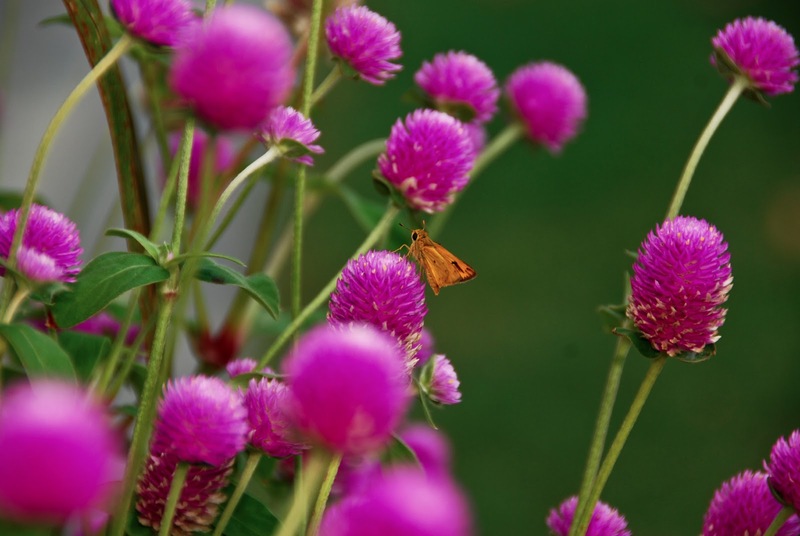 Flowers and bees - perfect for spring! So, plan, pack and picnic! Head over to your local park, a wildflower meadow, your rooftop or even your backyard - linger for a while and savor the fresh air! Of course, Spring is also a great time for other outdoor activities. If you like to camp, hike, bike, plant some flowers or throw some ball at the local park, now is the time! And if outdoor celebration is your thing then make sure to check out Supriya's post. I will be back with yet another inspiring post. Until then, let's all make the best of this gorgeous spring weather! P.S: All images were taken by my husband and are copyrighted. Gorgeous Deepa! Inspires me to head outdoors with the kids!! spring break and snow - talk about irony! Deepa..if this doesn't motivate a couple to do some outdoorsy stuff, I don't know what will:-))) Lovely clicks!! Sridevi: Thanks for reading! yes - there is so much to do and explore - lakes, parks, windy roads, small towns ...can't wait for warmer temperatures. hopefully, in our own little way we can inspire! thank you shalini! please do - go on a picnic i.e - nothing's more fun!